Top 5 Must Have Apps for Orlando! Orlando is one of the best places to go on holidays! With parks around every corner, amazing shopping and countless places to eat and drink, you’ll want more hours in every day to fit everything in! To help you make the most of your trip and time in Orlando, there are some great apps for iPhone and Android that are available to download. 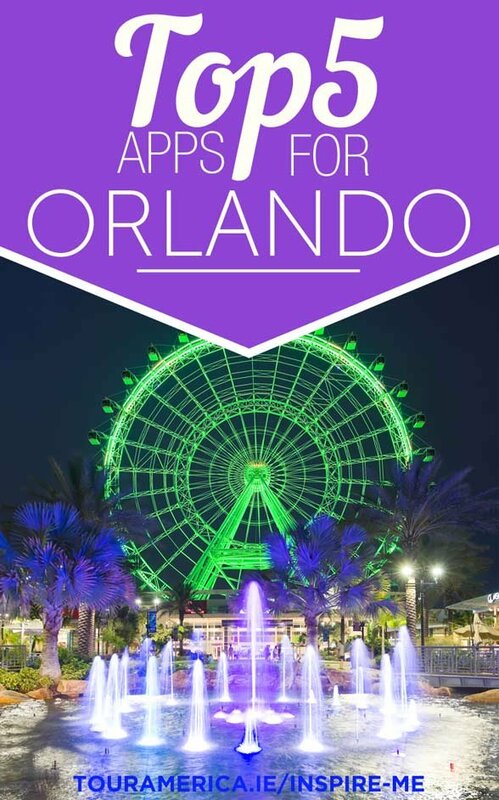 Here are our top 5 must have apps for Orlando. Orlando International Airport has wifi throughout and it also has its own official app so you can be connected the moment your plane lands in Orlando! 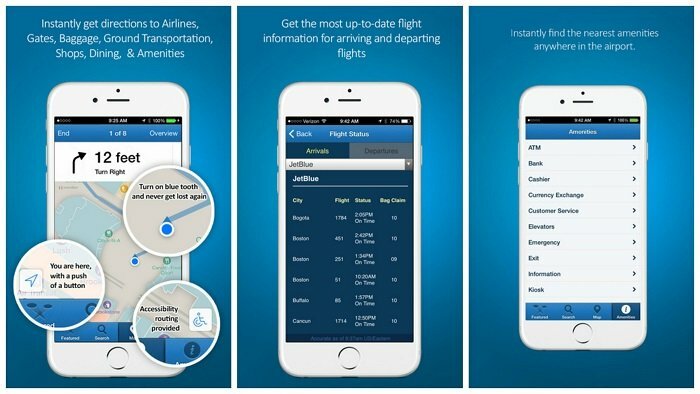 Whether you need a map of the terminal, flight status updates or just somewhere to grab a bite to eat, this app will have all the information you need. This brilliant app also gives you information about available transportation options from Orlando International Airport and will even lead you directly to your gate on your way home. Orlando - My Way lives and breathes all things Orlando! 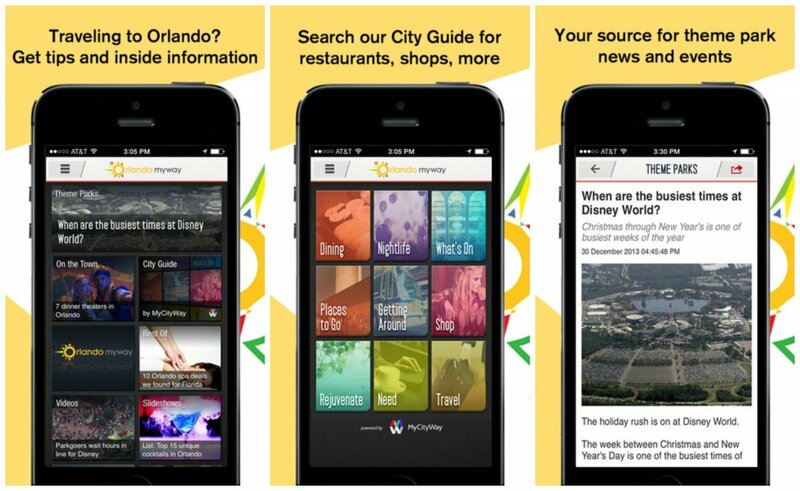 In this handy app you can find everything you need to know about Orlando from parks to nightlife! You can find all the best places to eat, the events happening near you and all the latest news from Walt Disney World, Universal Studios and SeaWorld. It will even keep you up to date with the weather in Orlando! There are so many handy features in this app to keep you updated during your trip. If you are going to Walt Disney World, the official app is something you need to get the most out of your visit. 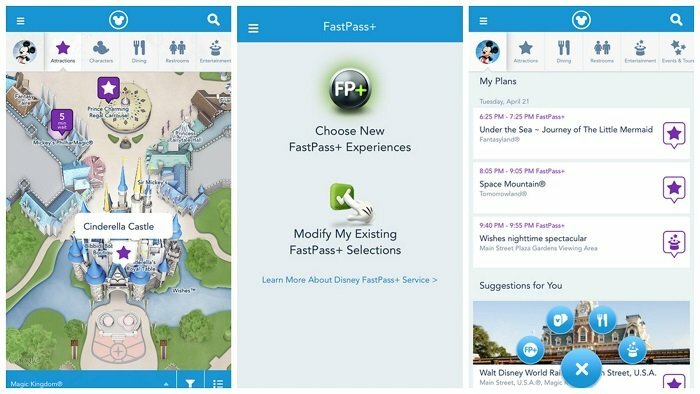 Before you even visit one of the Disney World parks, you can connect your ticket to the app and choose your fastpass+ times for your favourite rides or even book a table at a Walt Disney World restaurant! At the touch of a button, see the wait times for rides, view park maps, find character meet and greet locations and more! If you have purchased the Memory Maker, you can view and download all your photos taken throughout the day. Your visit to any of the Disney World parks are made easier with this amazing app! 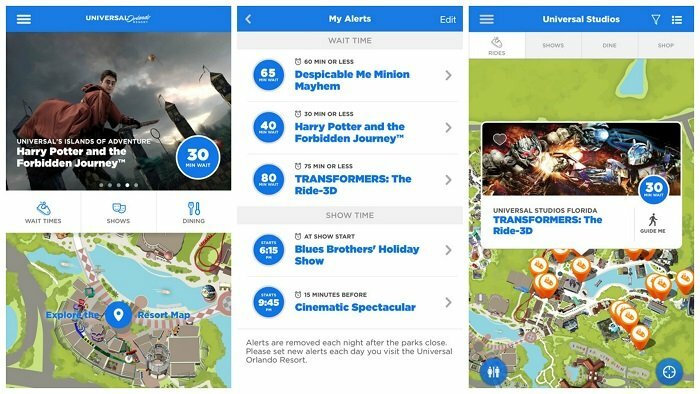 Just like the Walt Disney World app, the official Universal Studios Resort app gives you all the information you need for your trip to Universal Studios and Islands of Adventure. You can check the wait times of rides before you make the trip across the park. If the wait is too long, make the most of your time by setting alerts for when the queue of your favourite ride is shorter. When viewing the park maps, you can use filters to see only the attractions that appeal to you! This makes it so much easier to find the rides that suit you.This app makes every moment of your trip to Universal count! 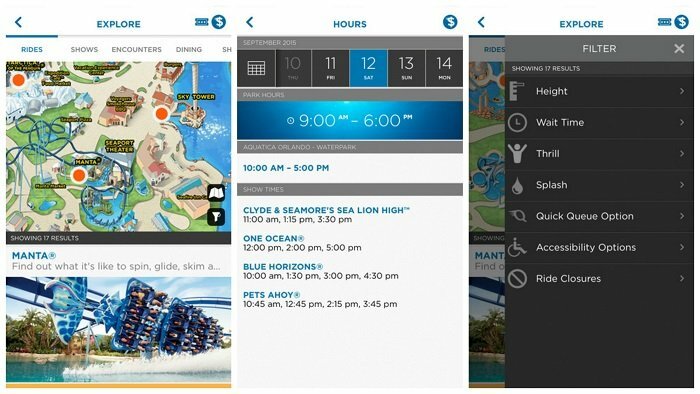 The official app for SeaWorld brings the excitement of SeaWorld to your pocket! With this app you can purchase and access your park tickets, get daily in-park offers and connect to the AnimalVision park cameras! Don’t worry about having cash in the park! Make your day hassle free by using the quick pay option on the app to pay for products in the parks. The kids will love the fun filters they can use on photos that they can share their best pics on social media! After a long day in the park, make the end of your day easier with the car finder! If you are also planning a trip to Busch Gardens in Tampa, there is an official guide to Busch Gardens to make your day just as amazing as your visit to SeaWorld. These 5 must have Orlando apps will make your holiday care free and we really recommend you download them before you travel. What's the best part of about these apps? They're free! Plus, Orlando has free wifi around nearly every corner so you will always be connected. 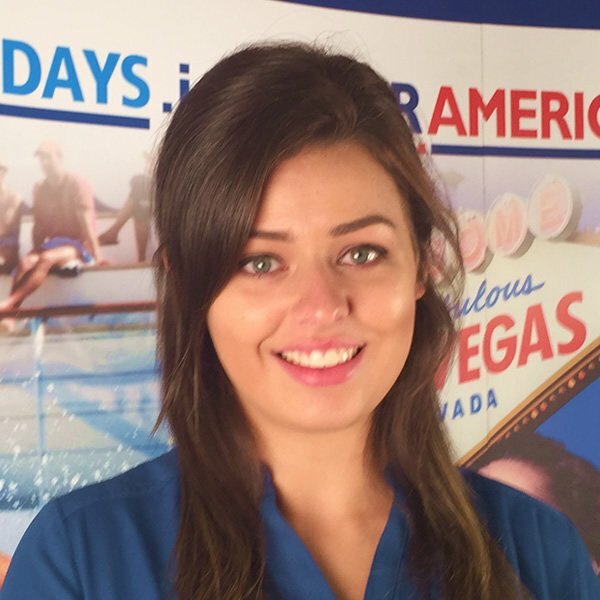 If you would like to a book an Orlando holiday with Tour America call us today on 01 817 3535 or visit https://www.touramerica.ie/destination/orlando-holidays for more information.